Jaʿfarī school of thought, Jaʿfarite School, Jaʿfarī jurisprudence or Jaʿfarī Fiqh[note A] is the school of jurisprudence of most Shi'a Muslims, derived from the name of Jaʿfar as-Ṣādiq, the 6th Shi'a Imam. This school of jurisprudence is followed by Twelvers in general and Isma'ilis in part, as well as a small minority of Zaidis. This school of thought utilizes ijtihad by adopting reasoned argumentation in finding the laws of Islam. Usulis emphasize the role of Mujtahid who was capable of independently interpreting the sacred sources as an intermediary of the Hidden Imamas and thus serve as a guide to the community. This meant that legal interpretations were kept flexible to take account of changing conditions and the dynamics of the times. This school of thought is predominant among most Shi'a. Ayatollah Ruhollah Khomeini emphasized that Ja'fari jurisprudence is configured based on the recognition that epistemology is influenced by subjectivity. Accordingly, Ja'fari jurisprudence asserts Conventional Fiqh (objective) and Dynamic Fiqh (subjective). Through Dynamic Fiqh, discussed in the famous text by Javaher-al-Kalem (Arabic: جواهر الكلم‎‎), one must consider the concept of time, era, and age (Arabic: زمان) as well as the concept of place, location and venue (Arabic: مکان‎‎) since these dimensions of thought and reality affect the process of interpreting, understanding and extracting meaning from the commandments. This school of thought takes a restrictive approach to ijtihad. This school has almost died out now; very few followers are left. Some neo-Akhbaris have emerged in the Indian subcontinent, but they do not belong to the old Akhbari movement of Bahrain. 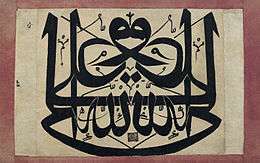 Nikāḥ al-mutʿah (Arabic: نكاح المتعة‎‎)," is a type of marriage used in Twelver Shia Islam, where the duration of the marriage and the dower must be specified and agreed upon in advance. (p242)(p47–53) It is a private contract made in a verbal or written format. A declaration of the intent to marry and an acceptance of the terms are required (as they are in nikah). Nikah mutʿah was also practiced by the pre-Islamic Arabs. Zaidi Shias, Ismaili Shias, and Sunni Muslims do not practice nikah mut'ah. In Shi'a Islam, taqiya (تقیة taqiyyah/taqīyah) is a form of religious veil, or a legal dispensation whereby a believing individual can deny his faith or commit otherwise illegal or blasphemous acts, specially while they are in fear or at risk of significant persecution. This practice was emphasized in Shi'a Islam whereby adherents may conceal their religion when they are under threat, persecution, or compulsion. Taqiyya was developed to protect Shi'ites who were usually in minority and under pressure, and Shi'a Muslims as the persecuted minority have taken recourse to dissimulation from the time of the mihna (persecution) under Al-Ma'mun in the 9th century, while the politically dominant Sunnites rarely found it necessary to resort to dissimulation. ^A In Arabic script: جعفري, strict transcriptions: Jaʻfarī or Ǧaʿfarī, /d͡ʒaʕfariː/; from the name: جعفر, Jaʻfar/Ǧaʿfar, /d͡ʒaʕfar/. 1 2 The Oxford Concise Dictionary of Politics, 2003:487. ↑ Rizvi, Sayyid Sa'id AkhtarNeed of Religion p. 14. ↑ Florian Pohl, Florian. Islamic Beliefs, Practices, and Cultures, by Marshall Cavendish Corporation, p. 137. ↑ Greer, Charles Douglas. Religions of Man p. 239. ↑ , Rizvi, S. H. M.; Roy, Shibani; Dutta B. B. Muslims p. 20. ↑ Berg H. Method and theory in the study of Islamic origins, p 165 Brill 2003 ISBN 9004126023, 9789004126022. Accessed at Google Books 15 March 2014. ↑ Hughes T. A Dictionary of Islam p 424 Asian Educational Services 1 December 1995. Accessed 15 April 2014. ↑ Pohl, Florian. "Muslim world: modern muslim societies. "p 50 Marshall Cavendish, 2010. ISBN 0761479279, 1780761479277 Accessed at Google Books 15 March 2014. ↑ Momen, Moojan (1985). An Introduction to Shi'i Islam. Yale University Press. pp. 39, 183. ISBN 978-0-300-03531-5. ↑ Stewart, Devin. "Islam in Spain after the Reconquista". Teaching Materials. The Hagop Kevorkian Center for Near Eastern Studies at New York University. Retrieved 6 August 2012. ↑ Virani, Shafique N. (2009). The Ismailis in the Middle Ages: A History of Survival, a Search for Salvation. New York: Oxford University Press. p. 47f. ISBN 978-0-19-531173-0. McLean, Iain; McMillan, Alistair (eds.) (2003). The Oxford Concise Dictionary of Politics (2nd ed.). Oxford; New York: Oxford University Press. ISBN 0-19-280276-3. OCLC 464816415.